Each chapter offers strategies, tips, and sample scenarios. 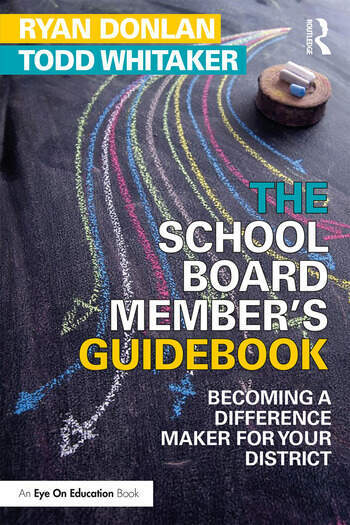 With these resources and the practical advice throughout the book, you’ll be able to make a lasting difference in the lives of every student in your district. You’ll be a Difference Maker. Ryan Donlan is an associate professor of educational leadership at Indiana State University, USA, and specializes in helping schools with leadership and governance. He has authored or coauthored five books, including Minds Unleashed: How Principals Can Lead the Right-Brained Way. Todd Whitaker is a professor of educational leadership at the University of Missouri, USA. He is a leading presenter in the field of education and has written more than 40 books, including the national best seller, What Great Teachers Do Differently.